Introduction to Strategic Public Relations: Digital, Global, and Socially Responsible Communication presents the comprehensive field of public relations as it is today and will be tomorrow. 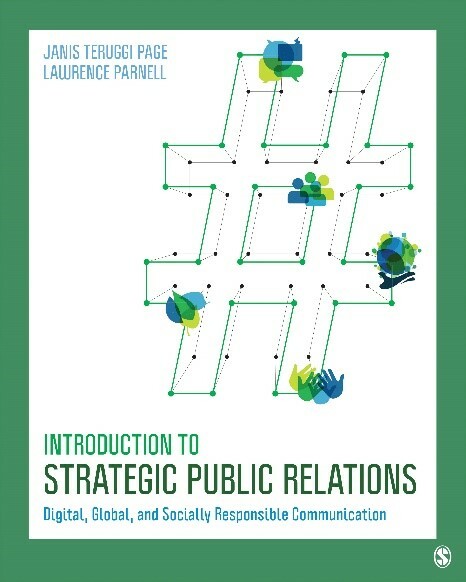 Recognizing that the shifts in technology, business, and culture require a fresh approach, Janis T. Page and Lawrence Parnell have written a practical introductory text that aligns these changes atop the body of knowledge in which the study of public relations was built. Since the practice of public relations is rooted in credibility, the authors’ main goal is to develop ethical and socially responsible communicators who are more concerned with building trust and respect with diverse communities than envisioning the next viral campaign. The authors balance this approach with a focus on understanding communication theory, history, process, and practice and how it can be applied to strategic public relations planning, along with the creation of a believable and persuasive message. — Richard A. Woods, former Sr VP corporate affairs, Capital One Financial Corp.